OK, my first and probably last post, if you go strictly by your rules. The thing is that my email address is one of those 'illegal' free addresses. That is because I do not have an ISP provider, but get to use for free the internet connection provided by my wife's employer for working remote from home. That has been working great for me, and I am not going to pay for an internet connection just to be accepted to this forum. Well, if you kick me out, that wont be any loss to you because I don't have any wisdom beyond what the forum already has. Actually I was hoping to use the wisdom on the forum to help me rebuild the -85 V65 sabre I bought last winter. Hope I get enough time to at least search the forum before I am gone..
We only ban "free" e-mail addresses because that is what the spammers use. Seeing as you have already managed to post, that means you've been accepted. Don't poke the bear and you'll be fine. Yep, pretty much... oh, and I have one of those EVIL free email accounts, so I wouldn't worry too much. As long as you are fairly chill (or at least amusing with your vitriol... I think that's right; MODS?) you'll do fine. Welcome aboard. The gmail/yahoo/hotmail ban is a PITA and no doubt keeps a lot of people out. It is a necessary evil though. If we did not have it you'd be wading thru hundredsViagra ads/ my sisters cousin makes $168/hr working on her computer at home/ vote for obama posts just to find out what kind of oil to use. It's been tried and did not work out well. Damned spammers! Maybe could allow those emails but add a short V4/Honda/motorcycle-specific questionnaire to register and maybe a Craigslist-style "This is a bot" button (5-15 members must click before a 72-hour ban, multiple occurrences means perma-ban)? a. You have a venereal disease. b. 5-25, courtesy of your local Department of Corrections. c. Always wearing your personal protective equipment. d. You attended Gattica High School. 2. 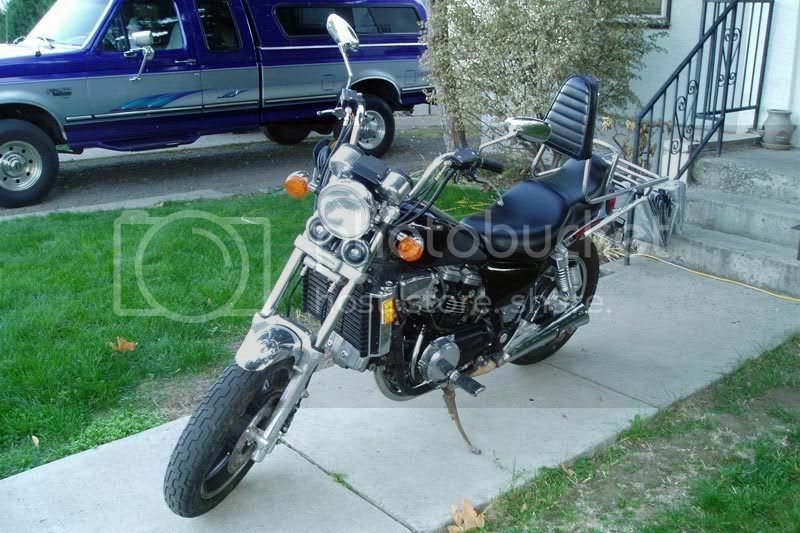 If you owned a 1984 Honda Sabre and a 2004 Honda Sabre, which would have more cylinders? b. The 2004, cuz it's newer. a. Wipe out because you weren't watching the road. b. Smoothly roll on more throttle and leave them in the dust. c. Are run down (hey man, they ride Harleys) and turned into a doo-rag rack in the clubhouse. d. Were wrong... it was a meet-up group: the Vespa Vandals! 4. You walk out of the bar/diner/coffee shop and find your Interceptor won't start. What do you check first? a. You make sure you aren't trying to start it with the keys to your new Audi. b. You try to figure out who installed the sidecar while you were inside and realize you don't actually ride a Ural after all. c. You check the kill switch, gear position, and the main fuse. d. You pull out your Iphone and call for a tow. Anyway, you get the idea.... easy to Google or intuit (depending on which way you like to go) but harder to program a bot for? I do not have any idea if it has to do with keeping spammers out or not but the ST site has a mandatory introductory post with its own section before you can post anything else. If someone wants to get on, they can always figure it out, or they send me an email and I push the registration. I liked your questions, but I'm glad you weren't my teacher!